1. 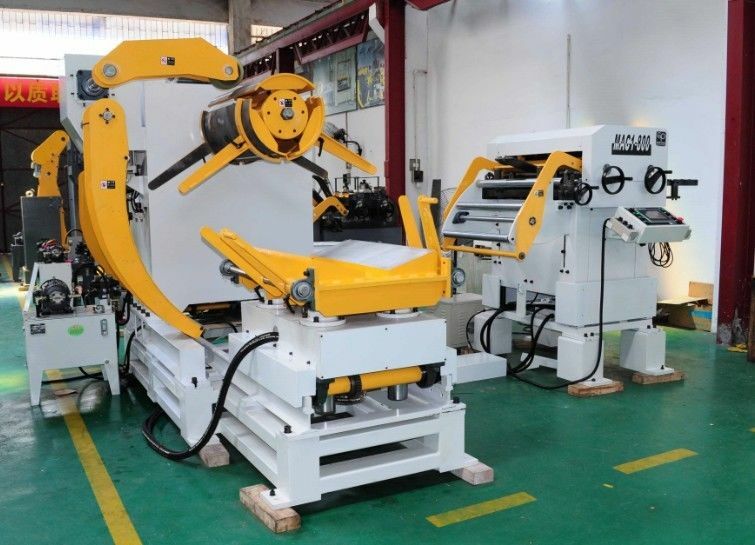 This big machine combines uncoiler function, straightener function, NC servo roll feeder function together, so as 3 in 1. 2. 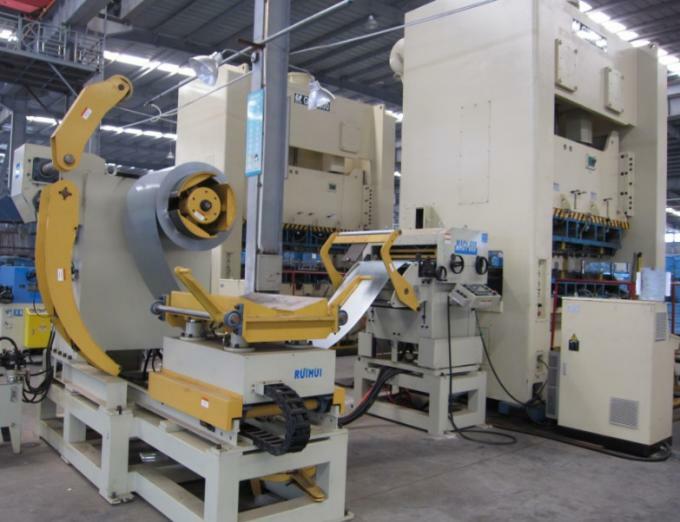 It can decoil suitable metal sheet coil, then straighten the metal sheet, then feed the metal sheet to press machine automatically, for automatic stamping processing. All the functions of the feeder are centered on the PLC and a hand-held knob. The operator can implement all the motion functions of the equipment at one location. This can save time. 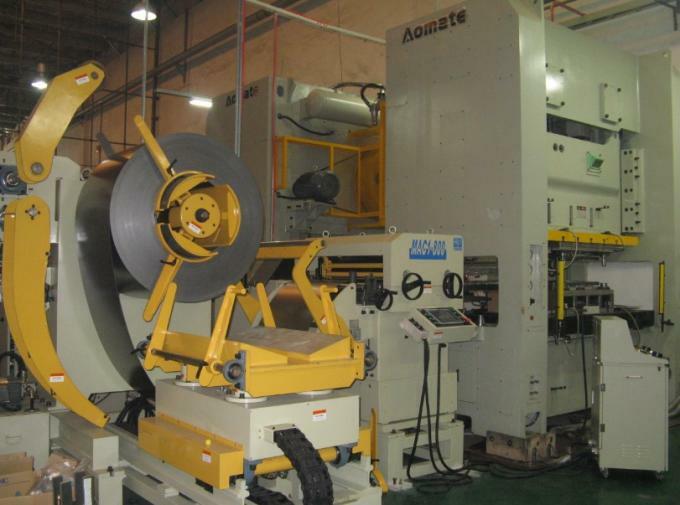 To maximize the use of mechanical action instead of manual operation.Reduce unnecessary auxiliary time, improve work efficiency. Powerful auxiliary function, so that the operator can stay away from the uncoiler. According to user needs, you can switch between the press or the device to control. Improve the equipment to adapt to the scope for the customer to save costs. 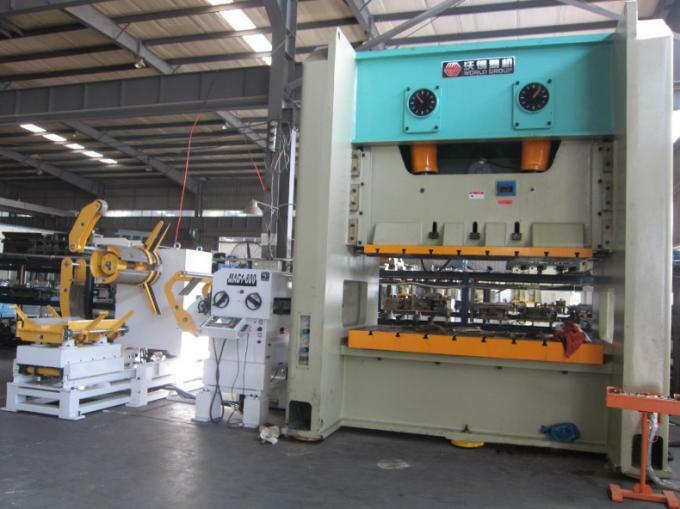 At present the company to further develop the market, at the end of 2013, the total investment reached 30 million RMB, plant area of more than 15 thousand square meters, in order to meet the demand on the market and lay a solid foundation after.